These devices are pneumatic devices that use pressurized air via a hand pump to provide cervical traction. 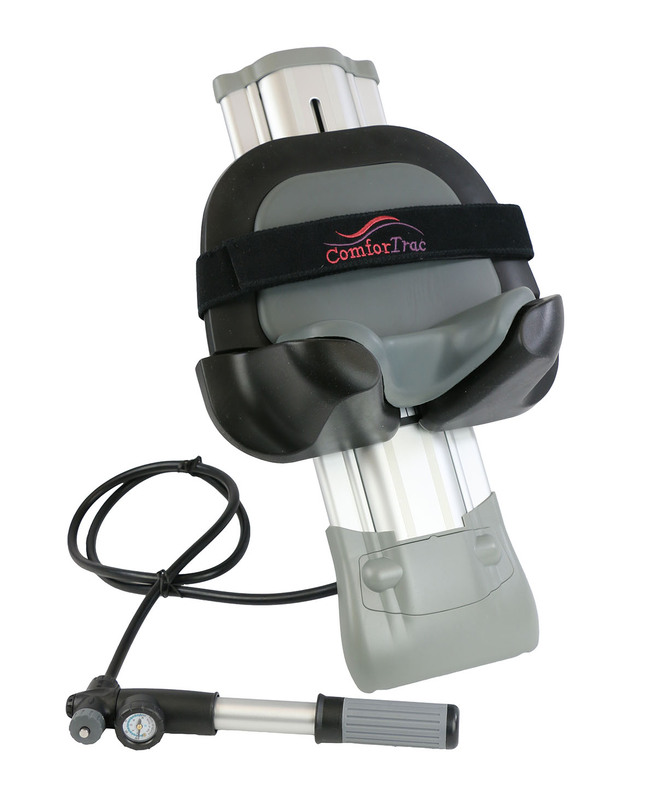 Our most popular products are Saunders Traction devices and our Posture Pump Traction devices. Used to administer static or intermittent cervical traction while patient is in supine position. Mounts to any door frame. Includes TMJ halter, 20 pound capacity water bag and mounting hardware. Posture Pump 1100-S Cervical Traction features up/down motion promotes disc lubrication/joint nutrition. Portable, easy to operate.